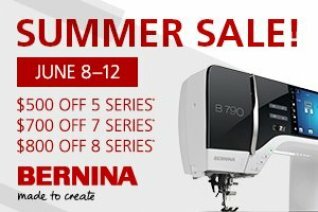 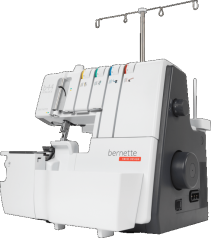 Stitcher's Quest now offers BERNINA Financing! 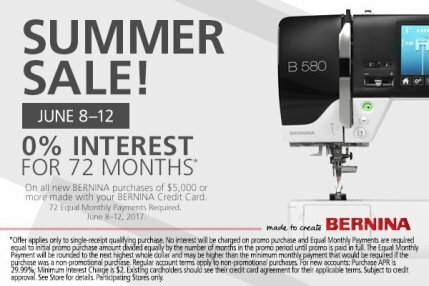 Stop in to pre-qualify for upcoming finance specials. 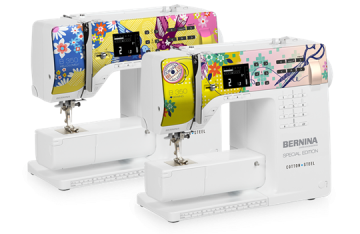 Click here to visit our calendar and register online for classes. 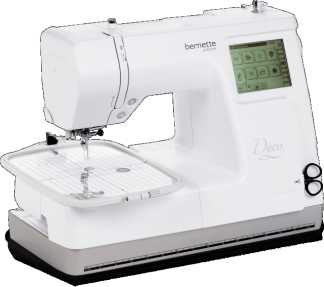 The bernette 340 Deco shines with its versatility. 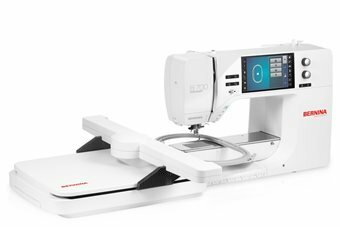 Alter, combine and save embroidery designs, then stitch them out precisely with this young, creative machine.